Donal O'Callaghan writes that his boat is "one of those boats that whenever you row it, you should allow a few minutes to answer questions, because people are attracted to it like a magnet." 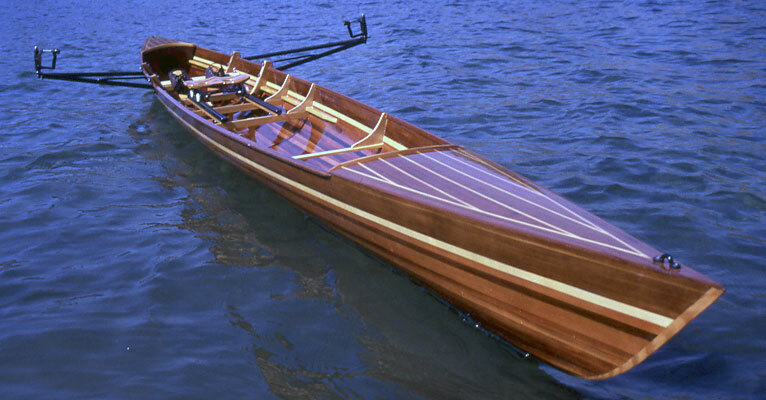 He built this sleek beauty from plans by Graeme King of Putney, Vermont. 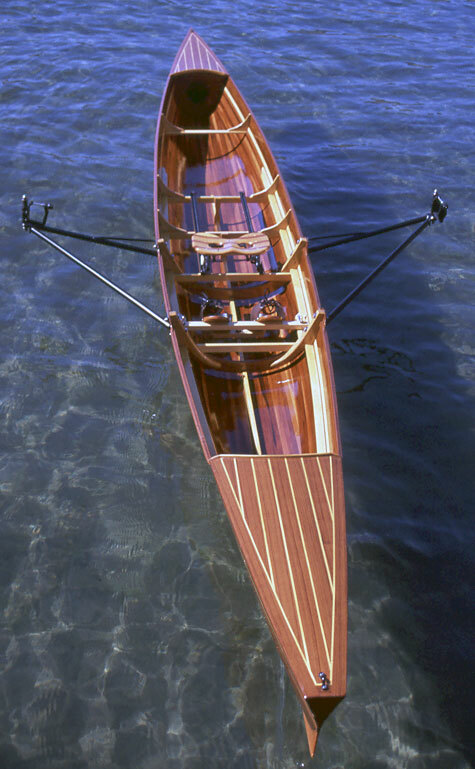 Donal used 3/16" red cedar strips for the hull and covered them with fiberglass cloth and epoxy resin. Trim and accents were done in mahogany and spruce. Donal says the boat "absolutely flies through the water."